may 25: pending! details soon! The current Frankie and the Fairlanes rock n roll revue is called "GOOD ROCKIN' TONIGHT and resumes in April 2019 and tours until December 1st. For this show some of the great songs of the 70's are added to our play list of classics from the 50's and 60's. With new arrangements and even some unexpected selections that we have taken from television shows of the golden era there will be something for everyone in this years show. As you can expect you will hear the stories, the facts and the background that made the music great with an exciting new twist. And of course expect the humour and energy that is part of every Frankie and the Fairlanes show. Come out and see a show by Ontario's Premier Rock and Roll Review. You might even see a celebrity guest! Check this website for upcoming confirmed concerts and call if you are interested in hosting an event, we have room to fit you in! Same great band as last year and of course Tina makes several cameo appearances again! 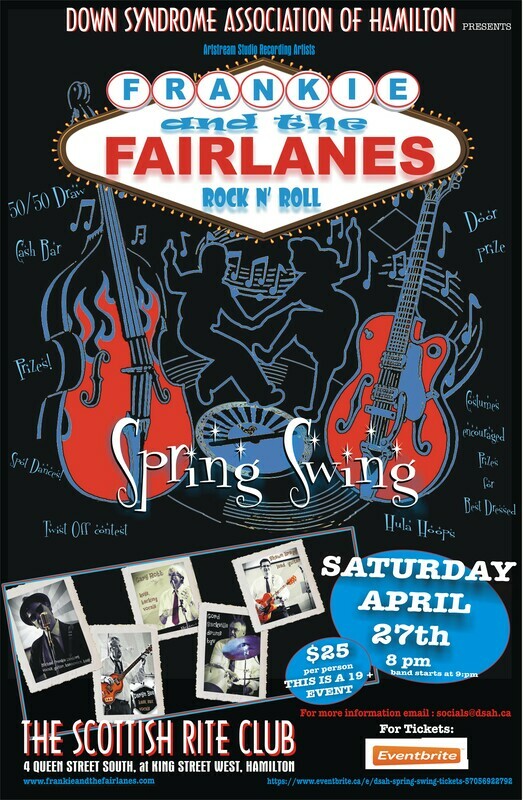 Frankie and the Fairlanes is your GO TO band for all your special events and a perfect fund raising rock and roll machine. 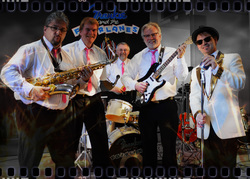 Frankie and the Fairlanes is a rock and roll revue that has been entertaining audiences at festivals, car shows, corporate events, high school reunions, dances, weddings and fundraising events for churches, schools and service clubs for more than 10 years in South Western Ontario. 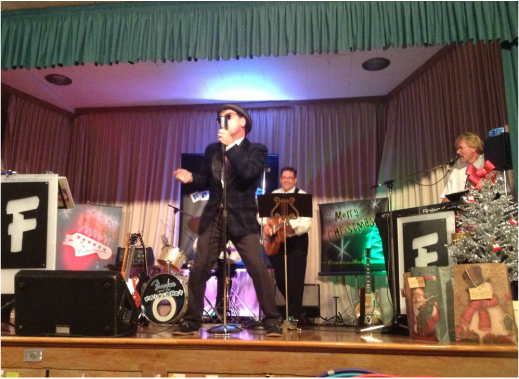 The band is known for their energetic stage presence, delightful dialogue, costumes and of course the spot-on delivery of the great songs of the 50's and 60's. The band is comprised of talented musicians each with a wealth of experience in music that together create the rich harmony vocal styles of the Beach Boys, the Beatles, the Jordanaires, Bill Haley and the Comets and so many more. The popular "Very 50's Christmas Tour" offered in November and December is a string of sold out shows that raises thousands of dollars for a great number of charities and community groups. The band tours and concerts are available from Toronto, west to Windsor and there are a limited number of dates available each year so contact us as soon as possible and get the date you prefer. Frankie and the Fairlanes offer a variety of formats that will meet the needs and budget of every host group. SEE "THE SHOW-Call Frankie" Tab for details about what Frankie and the Fairlanes has to offer this season! Rocking Around the Christmas tree!